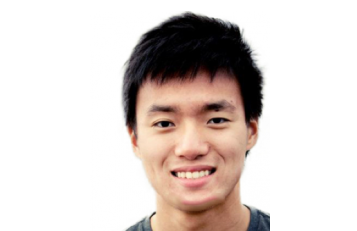 Eldo Kim, a Harvard sophomore, has been charged in relation to Monday’s unfounded bomb threat on Harvard’s campus. 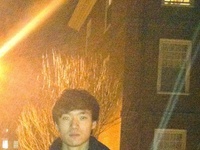 UPDATED: December 18, 2013, at 12:36 a.m.
Harvard College sophomore and Quincy House resident Eldo Kim, 20, has been charged in connection with Monday’s unfounded bomb threat against four buildings on Harvard’s campus and will appear in U.S. District Court for a preliminary hearing Wednesday morning. The public defender's office is currently representing Kim, according to Department of Justice spokesperson Christina DiIorio-Sterling. U.S. Magistrate Judge Judith G. Dein will oversee the hearing. Assistant U.S. Attorney John A. Capin is handling the case for the government. Kim could face a maximum five years in prison, three years of supervised release, and a $250,000 fine if charged under the bomb hoax statute, according to a press release by the Boston U.S. District Attorney’s office. According to an affidavit filed with the office, Kim told authorities he was “motivated by a desire to avoid a final exam scheduled to be held on [Monday].” Kim was present for that exam, which was held in Emerson Hall at 9 a.m., when the fire alarm went off, the affidavit says. “According to KIM, upon hearing the alarm, he knew that his plan had worked,” the affidavit reads. Earlier that morning, at approximately 8:30 a.m, Kim sent emails to two Harvard officials, an affiliate of Harvard University Police Department, and the President of The Crimson, saying that bombs had been placed two of four buildings: the Science Center, Sever Hall, Emerson Hall, and Thayer Hall. In those emails, Kim wrote, “be quick for they will go off soon,” according to the affidavit. The emails were sent using Guerrilla Mail, a free online application that generates temporary anonymous email addresses. Additionally, Kim used a free application called TOR, which generates a random anonymous IP address for temporary use that is difficult for law enforcement to trace. According to the affidavit, authorities were able to determine that Kim had accessed TOR on the Harvard network before sending the email. The threats prompted the evacuation of all four buildings shortly after 9 a.m. and led to the cancellation of several morning final examinations, as well as afternoon exams scheduled to take place in the Science Center. A search by HUPD, the Cambridge Police Department, the Mass. State Police, as well as the Secret Service and the FBI Monday morning revealed no explosives. The four evacuated buildings were cleared throughout the afternoon. The affidavit was submitted by Thomas M. Dalton, an FBI special agent, who along with a HUPD officer, interviewed Kim Monday evening in Quincy House. University officials would not comment further on the ongoing criminal investigation.